Physique Global is a fitness mentoring and educative service to fitness enthusiasts around the world. Physique Global aims to bring the world class education in India from the biggest fitness icons. 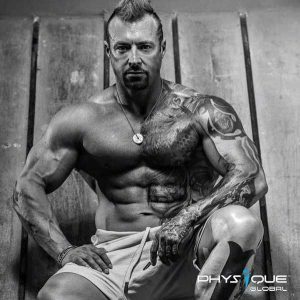 Meaning the fitness enthusiasts can learn and excel by taking advantage of the unprecedented world leading platform, this allows them to learn first-hand from some of the world’s leading fitness icons. Physique Global also delivers a top quality and bespoke personal training service to celebrity and high profile business clients. We also strive to bring the world class education in India from the biggest fitness icons of the Indian and International fitness industry. 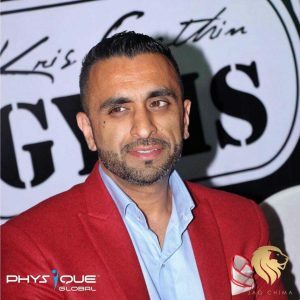 Physique global was launched in India on December, 2015 by Jag Chima, CEO and Kris Gethin, Director of Trainers. In India, there is a need of a platform for the fitness fraternity that has a credible education, with an easy access to all. There are many people delivering fitness courses in India with certifications that unfortunately are not recognized by the authorities. Physique global was founded with this goal in mind and aims to evangelize this scenario in a better way. At Physique Global we hold fitness education and business events across the globe and works closely with some of the world leading fitness brands such as Life Fitness, Hammer Strength, Cybex and Precor. Through our global reach we have been able to reach 1000’s of fitness professionals who have attended workshops, seminars and online webinars for education on a variety of important topics which are otherwise difficult to access. Our educators are the worlds finest who all hold great track records in area of expertise and travel to some of the most remote parts of the world to delivery education. Fitness education includes workshops, seminars and webinars covering the basics all the way to the most advanced topics which includes training principles, nutrition, rehabilitation, transformation, sport specific areas, performance, supplementation, health hacks, bodybuilding, injury, motivation and so much more. industry. Topics include Social media, marketing, increasing value, increasing visibility, how to generate more sales, fitness trends, job applications, how to retain staff, how to become more productive, problems in the fitness industry and how to tackle them and much more. Physique Global has series of other business verticals which includes business management for fitness professionals, sporting personalities and athletes.